Over the past five months, the official Cuban press has supported the amazing audio exhortations of the Libyan satrap – vain with the arrogance that befits a dictator, but well-protected in some unknown bunker — calling on his people to sacrifice themselves for the dictatorship, and he has also presented his words as credible when he claimed “There will be an end to this, to the opposition, and end to the defeated NATO.” Judging by the “news” and official media analysts, the Libyan Government had (has) the unconditional and massive backing of the people, and the defeat of the rebels and of NATO would just amount to a few negotiations. In all cases, the “information” for Cubans has been so biased that the numerous media reports of foreign agencies that have followed step-by-step the conflict in that country in North Africa have been deliberately ignored. The unequivocal source of the official Cuban newspaper has always been Telesur, which is no accident, given the wave of friendship that flows between the owner of that TV station, the apprentice of totalitarianism, Hugo Chavez, the Libyan despot and the Cuban regime. Birds of a feather. The truth is that wires regularly consulted on our Internet connections, and our training to interpret the official press in reverse, have been telling us that events in Libya were developing differently. It was evident that the rebels (the contemptuous Castro media calls them “mercenaries and traitors led by the self-proclaimed National Transitional Council”), supported by NATO, were closing the net around Gaddafi. Contrary to the false triumphalism of Gaddafi’s friends, it was obvious that the days of the “socialist” Libyan regime were already numbered. This past Sunday August 21, 2011 I was getting several messages on my mobile phone and other information confirming the departure of the rebels from Tripoli, the arrest of Gaddafi’s sons and a group of his closest collaborators and the surrender of his security guards, so I tuned in to the stellar broadcasting of the TV news program, awaiting the official confirmation of the imminent fall of the Libyan regime, and I had the time of my life watching the stuttering and baffled newscasters who didn’t seem to understand the nature of the dis-information they were reading. In the first report, they presented a speech by Gaddafi’s son stating that “he wouldn’t raise the white flag”, alluding to his refusal to give up (the same son who, it’s rumored, was captured), and immediately afterwards they showed pictures of agitated crowds in Green Square, the same plaza in which a short time before, according to Telesur and the Cuban press, “The Libyan people were meeting in mass” vowing to defend Gaddafi’s government to their death. The astonished expression of the poor Cuban media professionals, while reading reports that were inconsistent and contradictory to what was happening in Libya, were the epitome of the ridiculous: “NATO is responsible for the deaths that occurred in Libya. Gaddafi’s security guards have given up. It is confusing what is happening at the Green Plaza. Angola and Zimbabwe have offered the Libyan leader political asylum”, the newscasters stated. On screen, the people’s cheer belied any possibility of “confusion”; it was all very clear: Gaddafi had been defeated and the people were happy about it. However, at no time during the program did they acknowledge the true situation in Libya. At the same time, many old and new images circulated through my memory, including Gaddafi still young, arrogant and proud, many years ago, receiving the highest distinction awarded by the Cuban government: the Order of José Martí, perhaps as a reward for the many crimes he committed against his people and, more recently, just in recent days, the image of the General-President Raúl Castro in a friendly embrace with a senior representative of the Libyan government, though we were never told what he was doing in Cuba. I also thought of the General’s own indication to develop a new brave, honest and transparent journalism during the Sixth Congress of the CCP, just four months ago. If the coverage of what happened in Libya is an example of what our reformist General considers information transparency, we can clearly intuit how little faith we should place in the “renewal” of the press, and similarly, in the sincerity of larger undertakings. Just as expected, the article I published in number 9 of the magazine Voces which I reposted in this blog caused stinging and irritation in more than one website, which always makes me feel good. Among those affected by the stings, blogger Elaine Díaz seems to honor me with her attention in a particular way. “Strange Attractor,” published in her blog La Polémica Digital (Digital Controversy), is the writing that flatters me. Some friends and readers informed me about her reference to my work, because — and here, following the example of our leaders, I must self-criticize — I’m not a regular reader of Elaine’s blog. This distinction piqued my interest and almost my liking for this young woman, who, I am told, is a professor at the School of Communication. Maybe that’s why she writes well, which, I’m sad to admit, is not always a quality that comes with our journalists and other communicators. Elaine, I repeat, writes well, but does not always say it well. It could be because she may not read as well as she writes, or because my article made her nauseous, which she admits. Or maybe because, in her anxiety and haste to disqualify me, she neglected some odd little detail, such as the fact that the pioneer blog she uses as a reference (Murciegraphos), which I must confess I was not acquainted with, had not been updated since 2007, that is, before the blogger explosion in Cuba. Nor does it seem odd to me that some isolated blog might constitute a blogosphere, which is what my article is about. However, she shouldn’t deny that the increase of blogs, especially those that have remained on the Internet, which are updated regularly and which are among the ones that have provoked a virulent reaction from the authorities, is a phenomenon that took place after 2007. I propose historic examples that may illustrate my assumption: It is known that Christopher Columbus “discovered” the New World in 1492. However, archaeological finds attribute the Vikings’ presence in North America prior to the discovery date. Nevertheless, for all purposes, October 12, 1492 is the date that marks the discovery of America because Columbus was able to return to Europe and testify to the existence of land on this side of the Atlantic, and the Vikings were not, to my knowledge. Or maybe the Nordic Scandinavians were not very interested in the matter of discovering something, who knows. But, like it or not, Elaine, pioneer Karel’s “inconvenient” blog did not mark the beginning of the blogosphere, if not, I, just having found out about its existence, would advocate the right of giving it due recognition, and I would flagellate myself for not having known about it until today. 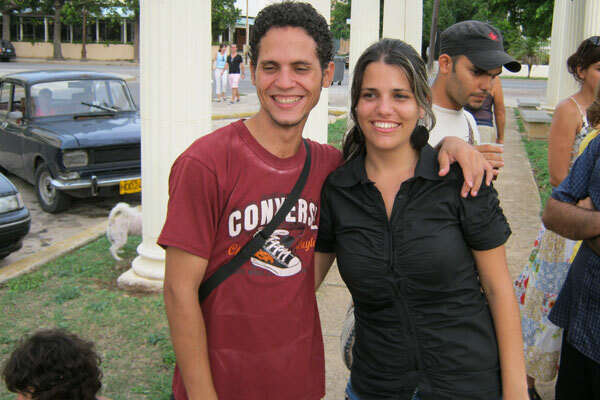 Even Voces Cubanas came after the Desdecuba.com platform (early 2007), or even Consensus (December 2004), a collective platform. Elaine conveniently omitted a piece of my post where I state that, at the time of the birth of the alternative blogosphere, “different people drew near, some of whom had long since been dabbling in online journalism or had taken their first steps in isolated blogs”. That is, the emergence of a blogger platform in itself did not negate, at any time, the prior existence of other blogs, although it’s true that, because there were doubts, I did not mention any particular one. I add that I could be mistaken in other facts, and I am willing to rectify those errors, if that’s the case. Unfortunately, I don’t have enough Internet connectivity to verify and correct them all soon. It would be great to have help from informed people such as Elaine… and also from others even better informed, because her investigations are a bit skewed. 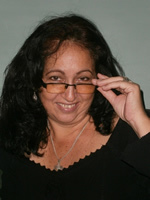 For example –using a funny and biblical parable – she assumes that Eve was born with the blog Sin EVAsion (January 2008), as inferred from this quote from her post: “The Cuban blogosphere began with Adam, just as the beginning of time. Eve was not yet born, Miriam. Too bad. It would take three years”. Yes, sorry Elaine, because Eve was actually born in 2005 for the daily Encuentro en la Red, probably a few months after your paradigm Karel. Under the pseudonym Eva I began to collaborate in the publication that year. Eva was born before Eva’s blog, unrelated to Adam’s rib. I think that, if Elaine wishes to correct my chronology, she should at least adjust her own, since she has such ample opportunities to do research. She should have prevented that error by just having been careful to read my blog’s profile before pouncing so zealously on me. I did not have (nor do I have) the intention of writing the history of the blogosphere, but to move some information around to complement the map that the U.S. academician Ted Henken put together, with facts and dates that the public was not aware of. That does not prevent the contributions of others, nor do I think that I’m worth such a waste of “revolutionary” energy in order to attack me. It might be indispensable now, and could be put to better use in the interest of “renewing the model”. Then Elaine complains about my proposal, when she even classifies herself within the taxonomy: “I’m touched by the blogger who was born under protection, who has posts dictated to her over the phone, the a-critical, a-neuronal blogger who is an imbecile and is in favor of the regime for a few hours of free internet and a salary that fluctuates between the ridiculous to the inadmissible”. The truth is that I never said all that, though I admit that her assessment does not wander far from my evaluation. But, in this respect, it provides more details than I did, is delightfully explicit, although, considering her youth, she shows an inexplicable amnesia. Because I remember (how can I forget!) as part of a select cast of the TV show “The reasons for Cuba,” in which a number of alternative bloggers, including me, are accused of being cyber-terrorists, mercenaries and traitors, although, as usual and as it turns out, impossible, evidence of such charges was not provided. Elaine cannot ignore that putting the powerful machinery of the media, the government monopoly that she defends so much as a function of fabricating a false case against other Cubans is usually a preamble for a history of long jail sentences and constitutes a criminal act of which I declare her an accomplice. Did someone, beyond conjectures, perhaps show her concrete evidence of our “payments” at the service of a foreign government? Perhaps it’s enough for a journalism professor that the authorities summon her to offer herself to do their dirty work? And she still denies she is “official”? In Cuba, under a dictatorship, this is a rhetorical question. Moreover, after this, I don’t know if she has the right to be included in the category of official blogger “light”. However, I prefer to give her the benefit of the doubt: there are some that say that Elaine was used by the political police, that her statements were conveniently edited, and that she had no idea that they would appear in the program of reference. For my part, when I want to enjoy a mix of talent and naïveté, I prefer attending a performance of The Little Beehive (no sarcasm, those kids are great performers), provided that it is not a work of tribute to the five spies or other similar atrocity. But if Elaine had really been manipulated, shame and journalistic ethics should have compelled her then to publicly denounce the media maneuver. So far, she has not done that, so there are only two options left: either she shares the “reasons” for the mentioned TV show, or she might have her own private “reasons” to not contradict her obligations. Mystery surrounds Elaine, perhaps until everyone is able to enjoy better times. Isn’t that right, Elaine? A few months later, she was discretely invited to a twitter encounter that was held on July 1st, 2011 at 23rd and 12th Streets in Havana, enthusiastically embraced by some alternative twitters (Orlando Luis, Yoani Sánchez and Claudia Cadelo among them) who were quickly rejected from the original show. A dividing, clearly defining line should be drawn between her (them) and us. It all became official, rigid and exclusive, demonstrating that ideological barriers are imposed by official bloggers-subordinated to the government, not the independent bloggers and twitters, who answer to no one. What are we talking about then, Elaine? Along the same line, I remember the first blogger contest “Una Isla Virtual”, Elaine Díaz was awarded a prize she rejected, a mere certificate recognizing her work in a blog. It was a “contaminated” acknowledgement, not because she said so, but because her benefactors did. More than once, a hand has been extended from the alternative blogosphere, and she has refused to take it without providing reasons beyond the same old official rhetoric. Free? You, Elaine? And this makes me land on another of her “arguments”. Elaine states: “There is little time left for those who believe in Socialism (the capital “s” is hers, of course) in a sublime act of honesty or ideological suicide or simply because they democratically and sovereignly feel like it”. Actually, she completely lost her muse in this respect, because the same statement can be applied to her in reverse. Why can’t I selflessly be against socialism and against the Cuban government (which, incidentally, are not the same thing), for an honest act of choice, without being paid for it by a foreign government? I am neither socialist nor Marxist, but that does not make me a mercenary or an annexationist (my apologies to those who choose to be). At any rate, I have friends who are avowedly socialist and they are dear friends. Other friends of mine, as dear as these, have liberal, demo-Christian, and even anarchist leanings. I do not subscribe to any ideological bias or base my friendship on ideology. Others don’t find it easy to define me politically either (anti dictatorial is the name that comes to mind to define me in some manner); but just the same, I allow myself the right to have political opinions and to criticize whatever I “democratically feel like” I declare that I am interested in politics, though it is not the axis around which my life revolves, because I prefer to choose the political program that closest to my own interests than to tamely permit that others make policy and decisions for me. The Cuba that I dream of would not exclude anyone because of her political ideology, and that includes socialists, Marxists or whatever it’s called in the fictional theoretical literature. Is that clear to you, Elaine? Or will you need many more spoonfuls of this aloe tonic? I too, like many other Cubans, am self-taught on many issues, but that does not make me reluctant to take training courses and skills from someone who masters certain disciplines. In fact, taking free training is part of self-learning and depends, among other things, on the student’s interest. Did Professor Elaine know this? Hence, I decided to take the free course offered by the Yoani of Elaine’s sorrows, and I will always be grateful to that friend’s generosity for sharing her knowledge with me (and with so many others!) And I am grateful to everyone who ever provided me with some sense. I cannot mention all of them, there are too many. This is a group almost as large as my own ignorance, of which I become more aware the more I learn. Let me re-emphasize the idea that a blogger is the highest example of freedom of expression. Elaine’s theoretical gloating when referring to emerging personal maps from 1995 to today and her impressive Jorn Barger and Justin Hall quotes, as well as the fact that users use blogs “for journalism, the compartmentalization of recipes, writing romance novels or for whatever they fancy” does not deny the principle of freedom of expression, but quite the opposite. Since when should free speech be limited to merely the political? Why wouldn’t it be freedom of expression for a cook to exchange recipes with other colleagues throughout the world or a novelist to publish his literary works in his own blog? This girl has such a narrow concept of freedom of expression! But I’m not surprised by her mental parochialism: she has been conditioned to political compromise. Not me. I believe that freedom of expression is a wide and universal human right, not a political exercise. The “truth about Cuba” is not, in fact, what Elaine or I say. Indeed, one cannot capture our reality in a few paragraphs, which seems to be my only point of convergence with the intellectual barricades. As a Cuban, I merely present my own experiences and perspectives. I have no masters, whether native or foreign. All my readers know I am not a complacent scribbler (I add that I’m also not “complacent” because every post I write I consider to be imperfect and incomplete). But Elaine cannot deny that, in my condition as a free, dissident and rebellious citizen, I must face demons that she does not. Others consider that a disadvantage. I feel it is an advantage and a privilege: I do not commune with dictatorships. The truth about Cuba, as she proposes, is not yours or mine. For now, I say the truth about Cuba is more about the number of exiles and dissidents, the meager pockets of ordinary people and the rampant corruption, the official statistics about the banana or fresh milk production or the eternal promise of renewal of the same government for almost 53 years. I remind Elaine that I’m almost 52.What is new for her is ancient history for me, though I have never felt I am “retro” like other people of my generation. I don’t pretend to have the ability to guide young people. I’d rather feel like I’m always “on the go” learning, sharing and creating, which is the best way to stay alive. I accept, unlike the generation of olive green octogenarian tycoons, that my half-century does not grant me any generational privilege. It would be like admitting that I have more rights than my own children, which I refute. Ultimately, my key word is “family”, not “revolution.” I does not seem that those in the lead were not too far ahead when Voces Cubanas arrived, if indeed they were there at all, which, in addition, is not all that important. We and Club Cuba Blogs or Cuba Bloggers are also not “peaceful neighbors” of the same tenement slum, as claimed by Elaine. Although, if truth be told, the alternative blogosphere has been able to learn how to receive as a compliment the not-so-peaceful stonings from such neighbors, so we do not consider ourselves as victims, which does not negate that they constantly throw stones at us. I can truly thank Elaine for her oblique but undeniable reference to my never-humble person. Maybe if she had been less bilious she would have seemed more authentic to me. What can we do! But, without a doubt, Elaine writes well, and a well-written piece is always appreciated. Hopefully, with time and experience, she might become better. Ah! I almost forgot a little detail: I don’t like humility. It reminds me of Isaura the slave, Uncle Tom, Liborio and many other characters whom I would never, under any circumstances, wish to be. I’ll gladly leave the monopoly on humility to Elaine, since she considers it a virtue. I hope she enjoys it. Several weeks ago an interview appeared in the virtual space cubaencuentro.com. The two-part interview was conducted by Luis Manuel García Méndez, and the person interviewed was the young American scholar Ted Henken. Titled “Mapping Blogolandia” (May 2011), Henken traces, with remarkable objectivity, his map of the Cuban blogosphere and its different trends, and offers his personal views about the blogger phenomenon in the Island. As expected, after this professor had been warned by the Cuban authorities that he would not be allowed to reenter Cuba, some official bloggers have reacted with special virulence towards the analysis Henken conducted and, as usual, they have unleashed the well-established smear campaign. But beyond the irritation that the interview may have awakened, his observations place the sights on a phenomenon which — perhaps for being new or controversial, since it was born within the dissident faction of the island — is quite unknown to Cubans. Possibly because it is “new” in a country that since the last five decades has been characterized by late access to technological advances, or the whiff of suspicion that emerges from the unknown, the Cuban blogosphere is permeated by somewhat confusing classifications, labeled with adjectives that do not clearly reflect the reality of the phenomenon. Thus, bloggers emerged spontaneously and free through our own personal spirit and resources within the dissidence or the alternative civil society (which in Cuba are almost the same thing), we do not have statutes or programs and are not grouped under any direction, association or institution or directed by any leader. We are the so-called alternative or independent blogosphere. It’s basically people who do not associate with each other, with complete autonomy; we each assume full responsibility for managing our blogs and what we publish, while deciding everything about our blogging activities. So we are a rebellious sectors of Cuban society, alternative voices to that official aging press tainted by triumphalism, the manipulation of information, secrecy, conspiracy and flattery to the system. On the other hand, sometime after, the official blogosphere was created (and the semi-official, its lighter variant), comprised of official journalists, who have received the express direction of the Cuban government through the Communist Party to create their own personal blogs to attack the independent bloggers and counteract their potential “adverse effects” on Cuban youth, and also represented by other pseudo-official spaces, controlled or supervised by the government or encouraged by leftist foreign sympathizers, i.e., blogs with relative autonomy from the government. As a variation between the two, the second has more critical views –though moderated and tolerated by the authorities- and as their common denominator, they enjoy the protective impunity that the status of “revolutionary” allows them, and they have better possibilities to free access to the Internet. However, one obvious glaring contradiction in this concept (official blogosphere) jumps out, because the notion of “blogger” in its most pristine sense is incompatible with the word “official.” “Blogger” is the essence of freedom of expression. Thus, by its very nature, the official blogosphere can only be a phenomenon of totalitarian regimes, as is a normal response directed against those in power in sharp contrast to the freshness, freedom and spontaneity of citizen journalism endorsed by the alternative blogosphere, devoid of guardians, controls and fixtures. At the same time, in 2008 a weekly meeting space for independent bloggers also began, where they exchanged knowledge, information and expectations, strengthening the links between participants and consolidating at the same time in real space and in personal contact, the blogger spirit born in the networks. This experience of regular meetings, called “Blogger Itinerary”, also had its virtual space and was the direct forerunner of the Blogger Academy that between October 2009 and April 2010 provided free knowledge on the use of information technologies and other topics of general interest, such as writing, ethics and law, Cuban culture, photography, to help the formation of bloggers, an experience which resulted in graduating thirty students, adding new voices to the Cuban virtual independent spectrum. Viewed this way, an approach to the Cuban blogger landscape would seem like a kind of chaotic war between good and evil, repeating and moving to the virtual venues the old, outdated and simplistic Manichean scheme, established decades ago by the leader of the Cuban revolution, when he decreed fascist statement “within the revolution everything, against the revolution nothing”, still absurdly applauded by one or another Coryphaeus of power. However, every social phenomenon reflects the nature of processes that have specific causes, and the Cuban blogosphere is no exception to that rule. This phenomenon is the child of circumstances and it evolves with them; a free blogosphere could not exist in conditions of dictatorship without its counterpart, the official blogosphere. And it is also because of that that the official blogs, much to their annoyance, constitute the consecration of our existence in Cuba. It is, in a certain perverse way, the government’s acknowledgement of our labors. 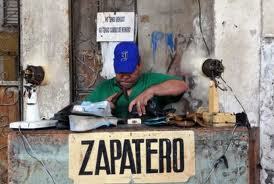 The Cuban blogosphere is a recent phenomenon. It started around April, 2007, when the blog “Generation Y” was born on the website desdecuba.com. By then, both the owner of this blog, Yoani Sánchez, and the small group of graphic artists who worked on the page, which also housed the magazine Contodos and also contained a section known then as Portfolio, with different independent personal projects, took some time in experimenting with the editorial work. Some of us were volunteers of the magazine Contodos and also wrote for different sites, such as Encuentro on the Web and other publications overseas. So the necessary conditions existed for the occurrence of the blogger explosion subjectively, a feeling of freedom of expression as an inevitable individual personal right, and the individual willpower to put this right into practice; in the objective field, the existence of the Internet as a vehicle designed to overtake the government’s monopoly on the media, and the possibilities offered by computer information and communication technology for the people to practice freedom of speech. The introduction of the “blog” variant, an option that for many of us was completely unknown until then, was fertile ground for the most authentic manifestation of citizen journalism in Cuba to take-off. Within months, what began as a spontaneous alternative among a group of individual Cubans started to interest others, many of them young, with some knowledge of the use of technology, who were experiencing in finding a place for self-expression. A small number of people got together, some of whom had already dabbled in online journalism or had taken their first steps in isolated blogs. Blogger enthusiasm quickly spread like an epidemic, giving rise to the platform Voces Cubanas, which houses in the same web dozens of Cubans of diverse occupations, interests and ages, who have found in the virtual network possibilities to express themselves not possible, or extremely limited, in social reality. In 2009 the first blogger competition, “A Virtual Island” was held, convened by the independent blogosphere and directed to bloggers in Cuba. By then, the international awards received by Yoani Sánchez had put the focus of international public opinion on the blog Generación Y, and, by extension, the alternative Cuban blogger phenomenon. This raised the alarm in Cuba, so the government felt compelled to call on their media Yeomen to “the Party’s task” to start up their blogs, designed to neutralize the voices of independent thought that were proliferating on the Internet, offering the world a version of Cuba that differed substantially from the idyllic image released by the official press. The people’s journalism belied the happy society that the official window was displaying and it was damaging the perfect effigy of the tropical version of Castro-style socialism. The Cuba that was reflected in the alternative blogs had nothing in common with the victory speech of the traditional press, controlled by the government; and what was worse, the alternative blogosphere, free of controls, was a growing phenomenon. Cuban authorities had delayed too long to understand the power of technologies at the service of individual freedoms. Behold just a small number of emancipated individuals with a bit of technology, minimal access to the Net and a good dose of audacity, were putting the powerful half a century monolith press in check, and, full of pride and arrogance, the disinformation apparatus and computer intelligence agents were summoned to face the new “threat.” Thus began a new era of repression in which the struggles and reactionary tendencies of the ideology in power would move to the virtual space. It is known that in the manual of the official Cuban repression the first basic principle adheres to the policy statement “within the revolution everything …” therefore, everyone who does not abide by the designs of the government or who deviates from the limits or ordinances established by it, is considered “the enemy” and must be fought to the death. In turn, the first step to fight the enemy is to demonize him. It is thus no coincidence that, after having been conveniently ignored by the mainstream media -up to where it was possible or prudent to the regime- we alternative bloggers are being presented under the generic label of “mercenaries working for the U.S. government” or, to become more in tune with the times and technology, “cyber-terrorists.” Once they have coined the term, almost everything boils down to mashing the same refrain, in which an individual morphs from one day to the next from a peaceful neighbor who is unhappy with the system into a dangerous agent of the CIA, US Treasury Department employee, with all the shady attributes that it implies… albeit without the benefit$$$. The configuration of the official blogosphere and that of the pseudo-official is also quite varied. It is composed of both vocal and vitriolic journalists and “intellectuals” officers of long standing, who have proved their obedience as a group of young “revolutionaries” who have assumed moderately “critic” ideas inside the system. This last trend includes some that point out the deficiencies produced “by the bureaucracy” and the “corruption of the images of those who have not known how to interpret the historic leaders” and other dubious novelties of the “revolutionary” process. Neo-guevarism is a standard that seems to focus Cuba’s hopes in a sinister creed, with Holy Saint Ché and his ideas as the main object of worship. There’s even a group by the name of La Joven Cuba (Young Cuba) as an organization run by Guiteras, a revolutionary of the first half of the last century, known for his adherence to terrorist methods of struggle. As for me, I distrust a lot of those who declare themselves as followers of militant and violent subjects. However, the repertoire of these hardened guys (reluctantly acknowledged) results in various Trotskyists, Stalinists and revisionists of Marx, Engels, Lenin, and even of a Martí, conveniently decontextualized, setting a style that fills your hands with strong ideological components. Under the traditional militaristic discourse that so pleases the revolutionaries, today the Internet is for them a “trench”, a “new battlefield” where a “cyber war” is developing in which “it is necessary to eliminate the opponent”. That is, in the government’s mentality and in that of its followers, the Net stops being a peaceful means of communication between individuals and groups that shed and exchange standards, knowledge, information and ideas to become a dangerous war theater where it is necessary for some ideas to have to triumph over others. I prefer to opt for peaceful proposals, in the style of Gandhi or Mandela, to achieve freedom and rights for everyone, and I also hope to continue to find, in the company of my readers, a civic venue of debate and of the democratic application of opinions. Another common element of combating blogs is that, without exception, they shy away from contact or exchange with alternative bloggers and refuse to direct and open public debate, either from their own digital spaces or in a public venue to which they themselves might convene. In any case, the official blogosphere and its variants, as the effect of alternative response to the blogosphere, lack the freshness and spontaneity of the alternative bloggers, and do not have the ability to take independent personal or group proposals, therefore, they are condemned to get exhausted by their own logic. The limitations of a closed system cannot be overcome if an open, direct, and inclusive debate cannot be established. Nevertheless, I feel that the existence of such proposals within the virtual spectrum of the Island is healthy. An essential component of democracy is, certainly, plurality. The mere presence of places for opinions, the practice of communication and the management of technologies, however limited or controlled, will lead to the emergence of large sectors that will gain in independence. A discussion forum cannot escape the scrutiny of public opinion, and just as it spreads free speech or a dogma, it also exposes your weaknesses and flaws, thereby circulating ideas, whether related or contradictory to their original intent. It is a big breakthrough in a society marked by decades of stagnation, conspiracies and secrets. On the other hand, to have raised a formal response of so great a magnitude signals that the alternative blogosphere is not as insignificant and innocuous as the government pretends. You do not fight with such viciousness what is inconsequential, especially in a country where the minimum accessibility of the Internet dramatically decreases the effect of blogs of any stripe or affiliation. Contrary to what the authorities intend, far from removing what they consider the blogger threat, they are strengthening it. Somehow, when their own cyber-servers read us, they are being exposed to a world of diverse opinions, the exercise of freedom of expression and the debate among Cubans so long proscribed. The more they glimpse at free venues, the more aware they will be of their status as slaves and perhaps it is true that they will be closer to the emancipation of granted and not conquered freedoms, but freedoms nevertheless. Today, when thanks to world technology many voices that have been silenced for too long are earning their place, the Cuban government is not willing to face the huge challenge of placing communication in the hands of all Cubans. It is a silent admission of weakness. How is it that people so revolutionary and educated do not have free access to information and global communications? What is the justification that the first illiteracy-free country in this hemisphere is now technologically illiterate? Internet is peace and democracy, so, to assume it is a battlefield can only mean a guaranty of defeat. The last five years in Cuba have been fruitful in the theoretical development of solutions to the country’s severe problems, mainly those related to the ills of the economy and other endemic viruses, an endless list including bureaucracy and corruption. Generally, these social atrophies are usually addressed by analysts sympathetic to the government as if they were temporary or recent conditions, or as if they were due to an accident not caused by the internal politics of the country –- the so-called “Special Period”, which has become almost as helpful as the “blockade” — or as if they were deficiencies of such a subtle and invisible nature as to have gone unnoticed for decades, even by the seasoned eyes of our highly experienced government leaders. Theorists attempting to rediscover a kind of socialism “a la Cuban” that would be viable “just now” are not exactly members of the nomenklatura, much more reluctant to change, but certain individuals and groups of reformers who may sincerely opt to improve Cuban reality after the introduction of “changes in the model.” In an exercise in good faith, I am inclined to believe that these are mostly well-intentioned proposals, but I trust that they and the scribes know that good intentions, though necessary, will never be enough to reverse the serious national disaster. Among the most active theoretical reformists is Pedro Campos, host of a trend called Participatory and Democratic Socialism, who has been presenting some projects of socialist worker-managed cooperative enterprises, among other proposals. His ideas are what could be called a trend critical of that of the official line, which I consider important to point out, since his position with respect to the government does not exactly represent a conflict between different schools of thought, but different positions to sustain the same thought, which can be summarized essentially in two words: revolution and socialism. However, I think it appropriate to acknowledge that within the “revolutionary dissent” Campos finally begins to recognize, at least de jure, the legitimacy of the rights of those substantially different, that is, of the non-revolutionary and non-Marxist dissidents. “Democracy, to control the bureaucracy”, a Pedro Campos Offering, published on July 6th in the digital site Kaos en la Red, is a piece too long to review it in its entirety. However, because it contains opinions arising from an ideological position that I do not agree with, I should dwell on some specific considerations that could lead to a debate between adversaries who respect and recognize each other’s rights to their opinion and dissent, but unfortunately I never had the opportunity of a face-to-face discussion with the author on our respective points of view. This could be a form of inquiry that allows me an approach to the thinking and transformation strategies with which those who are “not my equals” imagine their projects in a future Cuba, and a glimpse of how such a project can encourage a possible exchange that will eventually contribute a small measure to strengthen the essential civic foundations of that future. In principle, I find suspect any writings that begin with a Martí header, especially as in the case of trying to defend socialism against bureaucracy, using for effect a phrase from a speech in which the Apostle [Martí] vigorously denied it for that very reason, defining socialism as a system in which man would go from “being a slave of the capitalists, (…) to becoming the slave of servants”. Such trickery, in addition to misrepresenting Martí’s ideas, would eventually become silly due to so much overuse. On the other hand, too frequent references to “what Fidel said,” or “what Raúl says,” as ultimate sources of legitimacy, are a widespread habit among those who analyze the Cuban reality from the perspective of “revolutionary”, and suggests a poorly disguised intent to evade the consequences that critics of any denomination tend to suffer. This practice also tends to diminish the potential value of the arguments. A proposal should not be validated according to its connection to the speech of a leader. However, it is fair to say that the article referenced in Pedro Campos is gaining in audacity as he gets into the analysis, all the way to his making truly bold statements within the Cuban context. According to Campos, “Since coming to the Presidency, the current first secretary of the CCP tries to pull the country out of stagnation and has rightly spoken of eliminating secretive and absurd regulations, of involving workers, creating venues for differences and contradictions, of decentralization, national unity, of creating a critical press, and he never tires of saying that we must change the mindset, methods, styles and structures”. Such a statement would be relatively true if it were possible, in practice, to verify the performance of such intentions. However, since F. Castro’s famous Proclamation on July 31, 2006, which allowed him to continue to “govern” the country symbolically in effigy for another two years before actual power was transferred to the General-President, five whole years have transpired without substantial changes being apparent as far as the “inertia”, the “secrecy”, and the long list of “absurd regulations” which Campos criticizes. On the other hand, Campos indicates other issues of particular importance when attacking not only the persistence of cumbersome bans and the sluggishness in implementing processes that should promote so-called “non-state forms of ownership” — a euphemism that avoids the heretical phrase ” private property” — but also that it is unjustifiable not to abolish regulations and legal obstacles that impede the progress of the changes proposed during the Sixth Congress of the PCC, primarily with regard to housing, food and transportation. 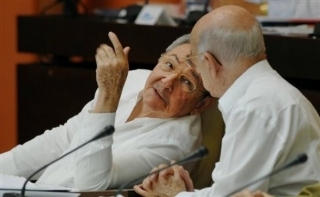 “The urgency of the crisis that Raúl has referred to would require immediate and ongoing meetings of the Cuban parliament, the legal procedure for changing everything that must be changed, but no one thinks of that”, complains Campos. And this is so true, I would add, that not even the General of the Reforms himself thinks of it. The double standard of the “state-centered economy” is severely chastised by Campos in some statements, when he challenges the validity of the application of market laws in hard currency only for the State, while the vulnerable national currency economy continues to suffocate; the accelerated suppression of free services, the elimination of subsidies and budget cuts in contrast to the persistence of low wages, the one and official media –- which, he declares, “remains fully controlled by the ideological apparatus” — reflecting the problems of the state economy, but keeping the old proposals in the old schemes that exclude the participation of the workers; the advances in the decentralization process is not realized, but the market monopoly continues, the recourses, business and policy decisions, and he notes that “the military sector accounts for the most productive firms in hard currency, the internal hard currency market and the main projects shared with foreign currency”. He even mentions that other dependency that stifles us today: Venezuelan oil. His questions are not confined to economic circles, but extend to the minefields of politics and he even claims some murky and sensitive spots, such as the internal repression and the topic of relations with the U.S. Here he states that “State Security should not interfere in ideological or political issues”, and he adds “dissidents are continually being harassed in different ways (…) and also harassed are whomever, for whatever reason, differ from government policies or disagree with officials whom the Council of State determined should be at the helm of the country’s direction”. In his list of ailments he includes the harassment of blacks and mestizos through the principle of “pestering tourists,” stating that “… the hounds of neo-Stalinism can charge as counterrevolutionaries or agents of the imperialism any citizen exchanging ideas with an American diplomat or with a political dissident, respectively. And whoever dares to receive a penny of assistance from any international entity suspected of having any link with the U.S. government can be accused as a ‘traitor and agent of the CIA’ and can be sentenced to several years in prison”. He also refers to targeted TV attacks and “independent bloggers, religious laity who criticize undemocratic aspects of the political system or anyone visiting the U.S. embassy”, qualifying such programs as a “true factory of adversaries”. Perhaps most remarkable is not that Pedro Campo’s criticisms coincide with the allegations that individuals and opposition and independent journalist sectors have been making for years, having paid a high price for doing so. Campos additionally offers an unexpected revelation from a socialist: “the problem in depth is systemic”, and further: “it has been recognized that the old model does not function, but instead of changing all that should be changed, the government/party tries to ‘update’ it, which equates to maintaining intact its support bases: the bureaucratic state, state concentration of property and decisions, wage labor, and other schemes of neo-Stalinism for the control of individual freedoms and democracy”. Without doubt, a commendable audacity. Nevertheless, Campos cannot avoid succumbing to the trite contradiction of condemning the model system and the party/government in the same package, and trying to dilute the power cupola’s responsibility in a collective guilt, as if the makers of the country and the rest of us Cubans were at the same level. Indeed, the balance for the debacle of a nation cannot rest solely on a small group of individuals. Today, only a handful of ailing elderly still control the destiny of 11 million souls, but if the responsibility were shared, we would have to share equally in the participation of reforms and decisions, this time giving advantages to those of us who have been held back for more than half a century when they were being made. Because what Campos should not forget is that 70% of the Cuban population was born after 1959, bereft of democracy, and not directly involved in the construction of this Frankenstein monster. For Campos, the Castro brothers are the “most responsible”, but he stirs them in with other criminals, creating a brew into which “all Cubans with some political culture” fall equally (only a tiny fraction of the Cuban people could actually be listed in that category), “those who chose to leave the country rather than getting in trouble”, “those who chose wrong violent methods to address democratic deficits” (he mercifully omits that the historical leaders of the revolution came to power and seized the nation using these methods from July 1953 to date). And, in a whimsical parable, Campos has most of the blame landing on… “American Imperialism that established and maintains the blockade…” And thus, like in B movies, in which the villain we took for dead grabs the heroine’s ankle as she is trying to make her escape, the Imperialist claw appears once more to establish itself as evil incarnate. Without denying the stupidity of the policies of successive U.S. administrations, countless times I’ve wondered what would become of the Castro revolution without this inexhaustible resource, Yankee Imperialism. To sum it up, Campos’s article, despite its values, maintains the spirit of a catharsis in which the author seems to try to rid the demons of their own fears. This is a good thing, because, after all, it is always a first step requiring a great deal of courage. I suggest that this assumption of his inclusive mood is another positive step which a colleague and friend coined as the indispensable “decriminalization of discrepancies.” As for me, I thank Pedro Campos for his kindness in publicly acknowledging the right of those who think differently than he does, and I also I offer him my respect and consideration together with my full willingness to keep the debate going. The self-employed trying to catch a break in a ruined Cuba. Photo from Internet. A blatant contradiction of the reforms and official speeches is obvious in this editorial, when he argues: “We are progressing more rapidly (…) on measures that strip the State of responsibilities that it had wrongly assumed towards its citizens, but we are not thriving equally fast in the liberation of productive forces …. “, a proven fact that, in turn, leads some sectors to consider the “ongoing process of updates as an act of reaffirmation of the old political and ideological mechanisms” rather than a true transformation capable of reversing the crisis. As can be inferred by the referenced text, the absence of true dialogue has been one of the “deficiencies” that have prevented “a more harmonious and speedy current process” (changes) in order to “minimize the dichotomy” between the gradual implementation of reforms and the urgency of their implementation, as well as between the process of dismantling government subsidies and the actual release of the productive forces. All this leads to presenting a problem of capital importance, given the actual circumstances, which is still being delayed by the power elites–though it may not appear to be spelled out just so in the editorial–and that is “the need to also rethink the political role, and to seek the best way for the people to effectively participate in the community’s and the nation’s design”, which would involve outlining new venues and guaranties for anyone to express any criteria, and for the same to be debated in very diverse forums…. so that “the consensus reached in these debates are the projects carried out by the country’s authorities”; without a doubt, a proposal that exacts to break with the traditional government scheme of developing unilateral strategies from the ceding of power in order to impose them through a supposed process of popular opinion that invariably ends up “approving” the guidelines for whose establishment we are never called upon. Finally, I must comment on the final paragraph of the Editorial, a real challenge to the Cuban authorities, when he proposes to openly discuss these issues at the National Conference of the Communist Party of Cuba (CPC) announced for next year. “We advocate for the CPC to assume such a debate and, in order to carry it out, to call once more on the people’s opinion, now through a bolder method of participation. Only thus will it be possible to answer to the people’s aspirations and to successfully achieve the process of changes inaugurated by the current President of the Republic”. This time I think appropriate to acknowledge the authors of an editorial which, making optimum use of its title, constitutes a challenge summoning not only the government, but all of us; a lesson in respect and civility that should be found in all our media more often, an example that criticism and demands for our rights can be exercised from acknowledged and tolerated venues without having to resort to aggressive face-to-face antagonism and without falling into flattery or into accomplice complacency. Cuba’s plight requires that we all do what is necessary from and to whatever extent possible, considering each circumstance and from whatever position each of us occupies. Obviously, the “challenge of being bold” is one way to do it.